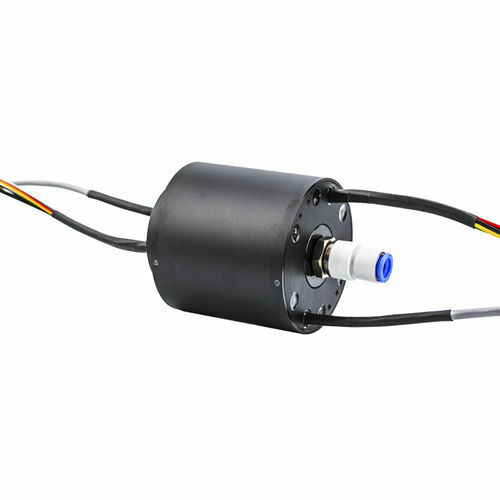 JINPAT Slip Ring for Coating Machine - Shenzhen, Guangdong, China - JINPAT Electronics Co., Ltd.
A kind of slip ring for coating machine is manufactured by JINPAT. Coating machine is mainly used for surface coating process production of film, paper and others, such a machine is to coat the rolled material with a layer of specific functions of glue, paint or ink, and then dry and wind it. 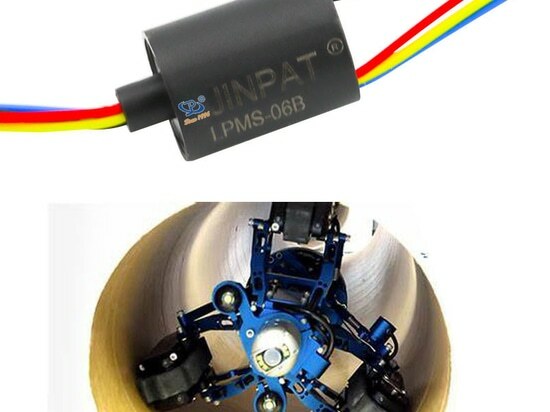 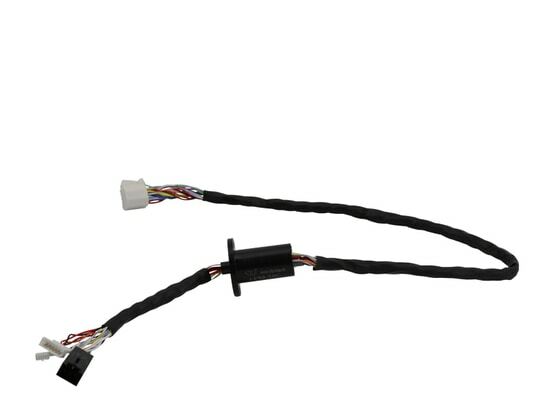 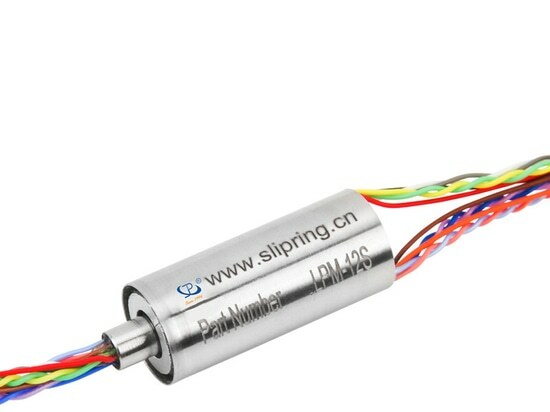 In the whole process, slip ring, being an electrical connector in 360° rotation, is an essential part for achieving its operation. 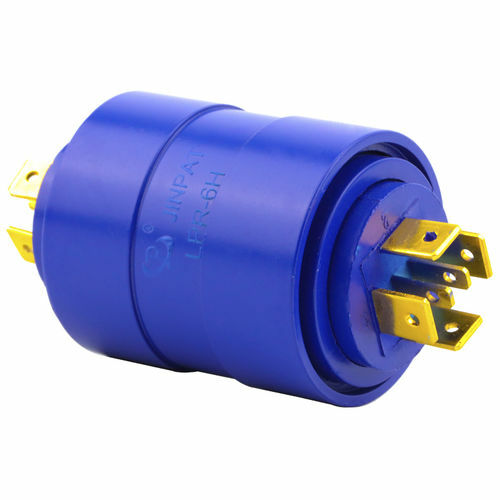 JINPAT has accumulated much experience in the slip ring development for coating machine. 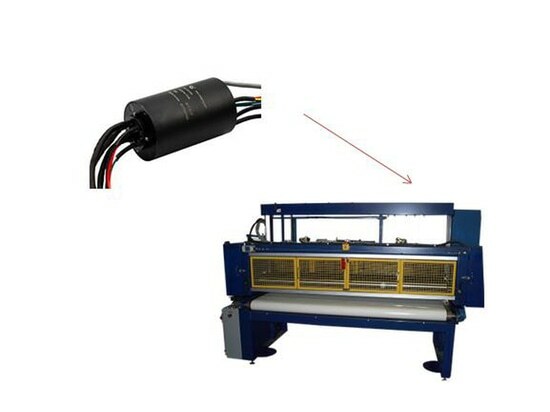 The recent coating machine slip ring is a through bore part that supports electricity and K thermocouple signal transmission. 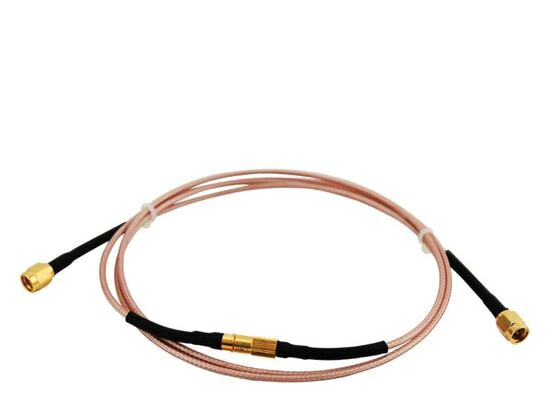 Working in a high temperature up to 150℃, the K thermocouple wires are in a special processing to avoid an excessive heat. 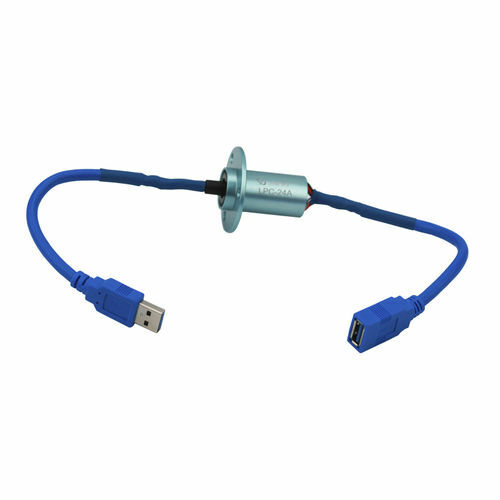 Moreover, power ring is also designed with decreasing heat dissipation. 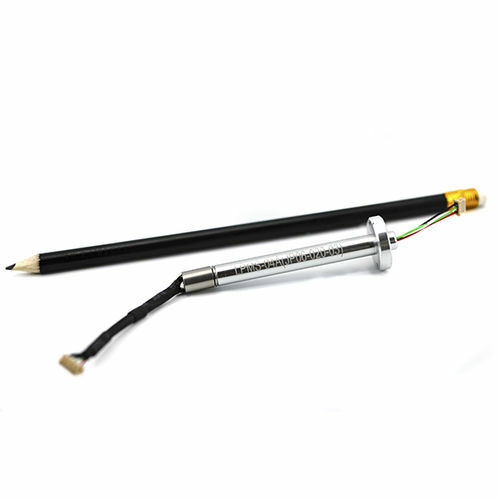 Continuous rotation of the through bore slip rings promotes a non-stop operation with roll alternation.